Iridium Pilot is more reliable than ever, delivering exceptional performance, durability and value for broadband connectivity at sea, everywhere on the planet. Without the burden of long-term commitments, you can still satisfy all your voice and data communications needs at prices that fit your budget. How much is a satellite phone plan? To understand exactly how much it costs you need to take into consideration all of the costs and also the plan you decide on. First you need to decide on if you want a prepaid or a postpaid plan and you also need to get one with enough minutes on it for your usage. Again, depending on the plan, this can range anywhere from around $60 to $4000 depending on the usage and the time frame for the plan (monthly, yearly, biyearly etc). Other costs can occur if you go over your minutes and can also vary greatly as well but can range from arguably about $0.50 to $2.00 a minute depending on your plan. If you are connecting to a satellite phone from a cell phone, the cell user should also be aware of international fees since their servicer will most likely charge them for an international call for connecting to a satellite phone. How much does it cost to have a satellite phone? The cost of using your satellite phone can greatly vary from $0.15 to $2.00 a minute depending on the particular plan that you and your servicer have set up. Typical rates range from arguably around $0.80 to $1.50 per-minute. Normally, the best idea is to contact your servicer and explain your particular situation so the best plan (postpaid or prepaid) can be chosen. A satellite phone does not use regular terrestrial networks like cell phones do. The idea being that if there is a natural disaster of some kind, something has happened to render other communication mediums useless, or you are simply off the grid and out of reach a satellite phone will keep you connected regardless. A satellite phone operates by sending your voice and even data over a vast network of satellites orbiting the planet. So, it does not matter what the situation is on the ground. As long as you have a clear view of the sky you can still communicate whether it is for work, keeping in touch with family, or you can even use your satellite phone as a critical lifeline where some models have functions engineered just for that. How much does it cost to use a satellite phone? The cost of using a satellite phone varies depending on where you get your services from and also your particular situation. For instance, there are prepaid and postpaid plans and depending on how much time you need and if you need continuous service or not greatly affects the cost. Also, another extra cost that tends to be forgotten is if you are connecting with a cell phone to a satellite phone the cell phone user is going to get charged for an international call, which can also bring in some unforeseen per-minute costs. How to call a satellite phone? What is a Thuraya phone? A Thuraya Satellite Phone is simply a satellite phone that operates within the Thuraya Network. Even though it is the smallest network on the market Thuraya is very cost effective communications solution for people that do not need the coverage of the entire planet. The Thuraya Satellite Network effectively keeps people connected in Europe, northern and central Africa, the Middle East, central and southeastern Asia, the Indian subcontinent, Japan, and Australia. What is an Iridium phone? An Iridium Satellite Phone is simply a satellite phone that operates on the Iridium Network. If you are considering a servicer and need global coverage then Iridium is actually your only choice. If you need truly global coverage Iridium is literally the only company you can go to; they have truly global pole-to-pole coverage. What is an Inmarsat phone? 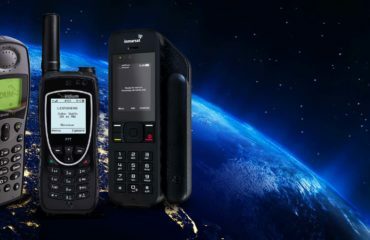 An Inmarsat Satellite Phone is, put simply, a satellite phone that operates on the Inmarsat Network. If you are considering a servicer but do not need as broad a network as Iridium offers but you need more coverage than what Thuraya offers then Inmarsat would be a good service to take a look at. The Thuraya Network covers sections of the planet and Iridium covers, from pole-to-pole, the entire planet. Inmarsat’s Network covers the whole planet with the exception of the extreme polar regions so if you need global coverage but know you are not heading to the arctic any time soon then Inmarsat might be the best choice for you. A satellite phone will work almost anywhere. A lot of this depends on your servicer’s coverage area and where you are at the moment. Let’s say you have a Thuraya or Inmarsat Phone and are in Antarctica. Thuraya’s Network only covers certain countries and since their satellites do not cover the polar regions of the planet you will not get a signal. This goes the same for the Inmarsat Phone as well since they cover the planet minus the polar regions. But, if you have an Iridium Phone and a clear view of the sky you will be able to connect without issues in Antarctica since their satellite constellation covers literally the entire planet. A satellite phone is unlike other communication mediums by the fact that it does not use terrestrial, or land based, networks to transfer your signal. A sat phone uses satellites to transmit your signal so this makes it the only means of communication that will work when all others are out or even completely out of reach. What is a satellite flare? A satellite flare is a glint, or reflection of light from the sun as a satellite passes overhead. With the satellites parts being reflective of light this is what you see as it passes overhead, especially at night. If you go outside and see a glint of light that is actually moving slowly across the sky at a constant speed; this is most likely a satellite flare. Do cell phones use satellites? They most certainly do not use any type of satellite communication whatsoever. A particular cell carrier may have a vast network which allows you to make calls from most locations and even access the Internet or run apps but the fact is that satellite phones transmit signals which are very, very different from cell phone. Cell phones simply transmit signals from land based towers, often referred to as terrestrial networks. What is a satellite network? A satellite network is the term used for a group of satellites orbiting above earth which help facilitate everything from simple voice communications to even high-speed streaming of broadband Internet. A satellite is technically any object that orbits a larger object. So, the equipment orbiting Earth that we use for global communications are called satellites. Also, the moon orbits the earth so that can be considered a satellite and the earth orbits the sun so that could also be referred to as a satellite as well. But, on average when someone is referring to a “satellite” they are referring to our human-made satellites that we have orbiting the planet. The best and easiest way of explaining it is that cell phones are basically like two-way radios with a transmitter and a receiver. When you are having a conversation on your cell, your phone is taking your voice and converting it into an electronic signal which is then sent by radio waves to the cell tower (from your carrier) that is nearest to you. How does a satellite work? Satellites work by radio signals that are sent from earth and relayed by the satellite. These signals are referred to as being bounced off a satellite. For example, you can take a signal and bounce it off the Moon right back down to the Earth. SatCom is somewhat of a generic term meaning satellite communications. For instance, Apollo SatCom is a short and somewhat generic term for the full company name of Apollo Satellite Communications. What is meant by the term satellite communication? A communications satellite is a human-made satellite that uses a transponder to amplify and relay radio telecommunications signals between the source and a receiver. These satellites are used for everything from military uses to television, voice, radio, and even broadband Internet services. Literally no matter where you are on the planet you can stay connected utilizing the services from communications satellites. What is the meaning of GPS in mobile phones? GPS stands for Global Positioning System, which is basically a group of satellites orbiting the planet that are strategically placed so people on the ground can get their exact location. It is provided for us by our government and literally has a million uses. Iridium Pilot is backed by the Iridium Global Service Program, an industry leading five-year limited manufacturer’s warranty, which offers exceptional value and peace of mind, with access to around-the-clock shipboard service at over 100 ports worldwide. Iridium Pilot offers users the choice to buy the right amount of data for their business at a fair price through flexible plans with no long-term commitment. Ask yourself, what are you paying more for? With Iridium NEXT, Iridium’s groundbreaking next generation constellation launching soon, Iridium will dramatically improve its ability to meet the growing demand for global communications, far into the future.